I don't have much to share today. I just haven't been in the mood to use my camera this week. I took this pic of a flower in my yard a couple of weeks ago. I played around with adding textures. I may be addicted. Really pretty - enjoy your weekend! OK, I've just got to learn. I'm going try and play around with it until you come over. Textures are fun, aren't they? Both photos are lovely. Great job, Deb. Look forward to seeing some of your vaca pics. Have a great time! Beautiful images. I'm addicted to textures. Textures are fun, huh!? 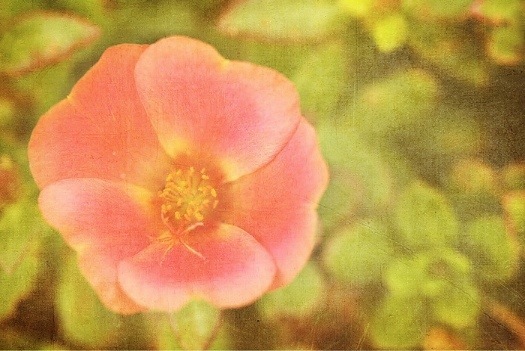 Beautiful photo and edit, Deb. What a great shot for macro Friday!! Love the edit! You are becoming a texture master ;D Enjoy your weekend. I can't wait to see what you find! What a pretty flower. A change of scene will definitely get you taking photos again, I know it did for me! Enjoy your weekend away. Very nice shot! I like the texture you added! Gorgeous! Enjoy your weekend alone!! 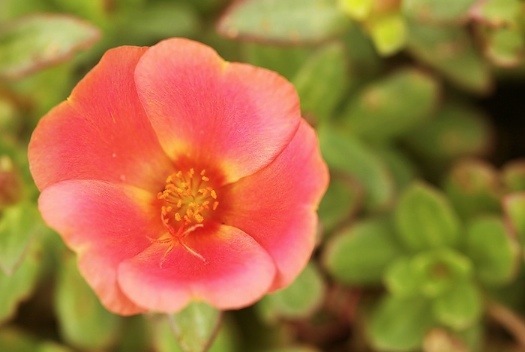 That looks like a Portulaca. Beautiful with texture. I've downloaded Texture many weeks ago but do not know how to use it. Might as well. I know if I get started, I'll be addicted too. Lovely photos. Hope you have a terrific getaway! Beautiful shot! I really like your texture edit. Can't wait to see your pics from the weekend! Sounds like fun! So pretty. Enjoy your kid-free weekend! I'm sure you'll have some great shots to share next week. such a sweet simple shot. Love the textures Deb. Hope you feel like picking up the camera soon- you do so well at it. pretty and lovely! love the texture too. Gorgeous texture! I love for you to join us in the Texture Twist! pretty - I need to figure out how to use textures!